Today, we’re talking gifts. The gift of health. The gift of knowledge. The gift of pretty plates, portable boom boxes, low-sodium pickling spices, and everything else you need to make your diet feel absolutely LIMITLESS. And whether you celebrate Chanukah, Christmas, or any other holiday, just remember that anytime is the right time to treat yourself or a loved one to these wrapable goodies and bites of wisdom. So let’s begin with the gift of health. Just like last year, I’ve created a Pinterest board inspired by my favorite items in my low-sodium tool belt. There are book shelves, dehydrators, non-toxic cleaners, spices, pickles, and grilling planks. Blenders, boom boxes, and even half-pint ice cream makers. 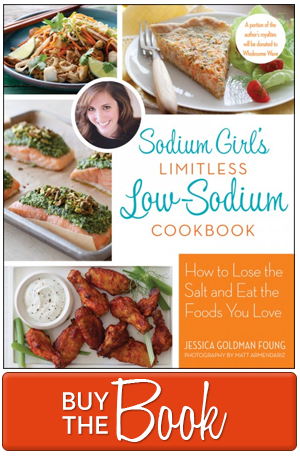 (Not to mention my own very limitless low-sodium cookbook available for preorder on Amazon). Basically all the ingredients you need to make one tasty and enjoyable low-sodium kitchen. And you can use this Pinterest board to fill out your own holiday wish list. Or better yet, to fill stockings for family and friends, helping outfit their pantries and counters so that they can better provide low-sodium meals for you. Now, let’s move on to the gift of knowledge. The American Heart Association will be launching an amazing Three Week Sodium Swap Campaign in January, encouraging people to kick their salty ways in twenty-one days. Which means, if you or a loved one are just starting your low-sodium diet, the American Heart Association is ready to hold your hand through the process with blog posts, Facebook discussions, and a lot of good low-sodium information on the Salty Six and other high sodium contributors. But if you’ve been doing this low-sodium thing for a while, it also means that you can be a voice of inspiration. You can get on the American Heart Association’s Facebook page and share your own stories, tips, and tricks. You can help encourage people as their palates adjust to life without salt. 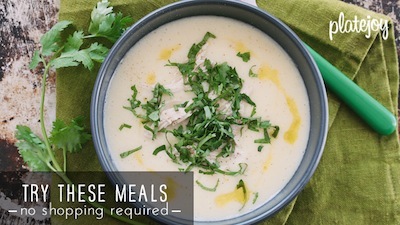 You can cheer, support, and offer your favorite low-sodium websites and recipes to bring color to what is often misunderstood as a boring and bland diet. You can tell people about your favorite low-sodium swaps so they can avoid the Salty Six and other high sodium contributors. You can show off all you’ve learned and pass it forward. Way forward. As for a little extra surprise, I’ve remixed the 12 Days of Christmas into my own version: The 12 Days of Low-Sodium Blissmas, which I’ll be tweeting and posting on the American Heart Association’s Facebook page from now until the new year. It features my favorite low-sodium tips. And it is incredibly singable (which means, if you have a musical family, it can easily become a new holiday tradition). I hope you enjoy. With that, I’m wishing you all much health and happiness as this year begins to come to a close. I’m wishing you gifts of health and knowledge and song. I’m wishing you twelve days of low-sodium blissmas and many more to come. Happy holidays and chow on. On the first day of Low-So Christmas my true love gave to me, spices that are sodium-free. On the second day of Low-So Blissmas my true love gave to me, marinade and rubs. On the third day of Low-So Blissmas my true love gave to me, air chilled hens. On the fourth day of Low-So Blissmas my true love gave to me, dried and fresh herbs. On the fifth day of Low-So Blissmas my true love gave to me, nutritional listings. On the sixth day of Low-So Blissmas my true love gave to me, ovens for roasting. On the seventh day of Low-So Blissmas my true love gave to me, tupperware for snacking. On the eight day of Low-So Blissmas my true love gave to me, coconut for milking. On the ninth day of Low-So Blissmas my true love gave to me, oranges for zesting. 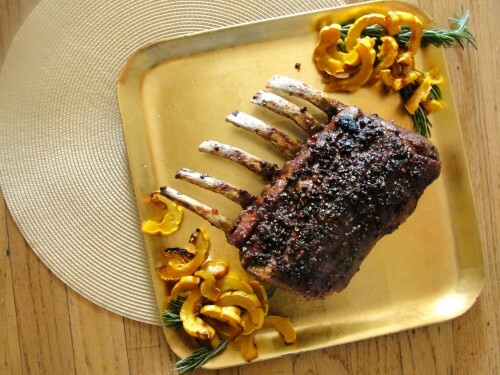 On the tenth day of Low-So Blissmas my true love gave to me, cooking while I’m sleeping. On the eleventh day of Low-So Blissmas my true love gave to me, easy tips for dining. On the twelfth day of Low-So Blissmas my true love gave to me, brining and bread crumbing. What a blessing from Nutrition Heaven. I’ve struggled with high blood pressure and hypertension for years. It runs in my family, and both stress and sodium are to blame. I keyword searched low sodium lifestyle and this post popped up. Amazing. I’ve been slowly making changes to my diet. Since I’m a busy father of three, I started replacing breakfast with a Daily Dose shake from bewell.com. It’s low sodium and I can mix it with almond milk, so it’s amazing! Now I’m looking for ways to reduce sodium in my diet, learn new dishes, or enhance those I already know with low sodium alternatives. The above tips just put it all in the pocket for me. Thanks!!!! Hi, quick question– what do you mean by air-chilled hens? I’m unfamiliar with this differentiation in poultry.